It’s the end of the year and the craziness of December may well have depleted your festive glow, but muscle up the last dregs of energy and get yourself beauty ready for the biggest party of the year, New Years Eve! Please don’t let the word ‘peel’ frighten you! ‘Peel’ is the name we give to an exfoliant that sloughs away dead skin cells using the ingredients in the product rather than physically removing them with a scrub. The action of the peel differs depending on those ingredients, and who is administering them (i.e. only a medical professional can perform a medical grade peel) and, how long the practitioner deems fit to leave the peel on for. Dr Krystyna’s peel of choice is by Figorla. It is a medical grade peel using Glycolic acid to remove dead skin cells and blockages from the skin’s surface. After a thorough cleanse, the peel is applied and left on the skin for 3 minutes before being removed and then a neutraliser and serums are applied. It is as simple as that! Of course, the peel feels noticeably tingly when it is on the skin but it is totally bearable and Dr Krystyna’s warm manner and care will distract you from the sensation anyway! This is a no-nonsense treatment offering fast results and long-term effects; pores are de-clogged, lines look less, skin is plumped and your glow is restored! It is very important that you inform Dr Krystyna of your skincare routine and of any medicines or supplements you are taking as all can affect the treatment. You must not wax in the treated area for at 48 before or after the treatment and you must wear an spf daily after the treatment (and preferably a topical antioxidant too) to protect from environmental aggressors. Your skin will look great immediately after the treatment so it is fine to do on the day of an event, just give your skin a couple of hours before applying any makeup. If anything is going to make you look party ready, it’s bright, sparkly eyes and the easiest way to achieve that look is with luscious lashes! Nouveau Lashes offer semi-permanent lash extensions in different styles (that are weight for weight with your own lashes to help prevent damage to the natural lash) depending what look you are going for; they can be as subtle or dramatic as you like, with a big curl or a gentle curve. Application takes around 2 hours (or you can have an express treatment in 45 minutes) and they last for up to 8 weeks if cared for properly. 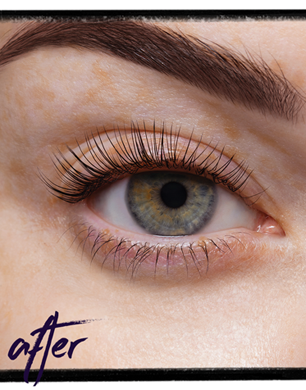 Such aftercare used to involve not wearing mascara, as the oils in mascara can break the glue bonds in the lashes, but with Nouveau’s newly launched extension-friendly mascara that’s no longer an issue! Giving you the option of a subtle look in the day and a more dramatic look in the evening. If extensions aren’t your thing, try Nouveau’s LVL enhance (length, volume, lift); originally created back in 2006 as a pre-extension treatment for clients with ultra-straight or criss-crossed lashes, LVL lifts, curls and tints the lashes, creating a bright-eyed, wide-awake look. 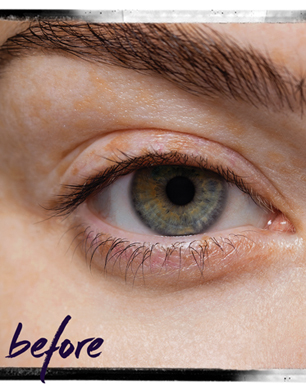 The treatment gives such great results, in only 40 minutes and lasts for 6-8 weeks, that it has now become a hugely popular stand-alone treatment. Again, different looks can be created based on your own preferences and lash length. 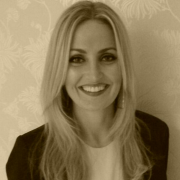 One of Nouveau’s co-founders, Karen Betts, says the consultation is the most important part of the process (this is even included in the Nouveau Lashes technician training) she will ask you questions based on your lifestyle, image and preferences and base your treatment around your answers- Karen truly understands that we are all individuals with individual taste, guaranteeing your perfect look every time! Nouveau Lashes LVL Enhance from £45 (salon dependent) Please note a patch test is required 24-48 hrs prior to appointment. Super-quick treatments that make a huge, beauty difference, Happy New Year!